Learn about total productive maintenance (TPM) as a system that will help you put a plan together. 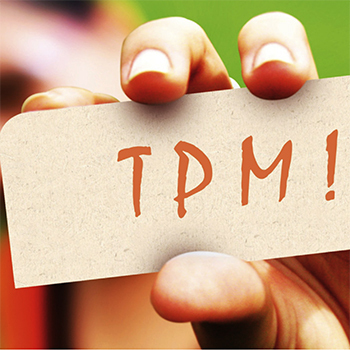 Gain insights into TPM concepts and creative solutions and best practices from other teams/industries. You will be introduced to a phased process which is a step-by-step plan to take your maintenance group and production equipment to the next level of operation. These are do-able, bite size steps that will move your maintenance group forward while increasing the production output of your machines. Learn how to identify two main causes for 80 percent of equipment failures and how to analyze equipment condition. Hear how to strategically drive up overall equipment effectiveness (OEE) and analyze equipment failure history. Develop countermeasures against contamination and to make equipment more accessible. Attendees will learn how to enhance preventative maintenance, and much more. John Perrotti is a vice president at Fuss & O'Neill's Manchester office and leads various disciplinary efforts for its manufacturing solutions group. He is a trainer for increasing production on clients' factory floors. He has led many total productive maintenance sessions. Perrotti has also performed training and support in Maintenance Manager 101, troubleshooting techniques, set up reduction and utilizing a lean approach to safety.